A shop that collects authentic empty bottles of high end wine, Guangzhou, Guangdong Province, China, 18 July 2014. 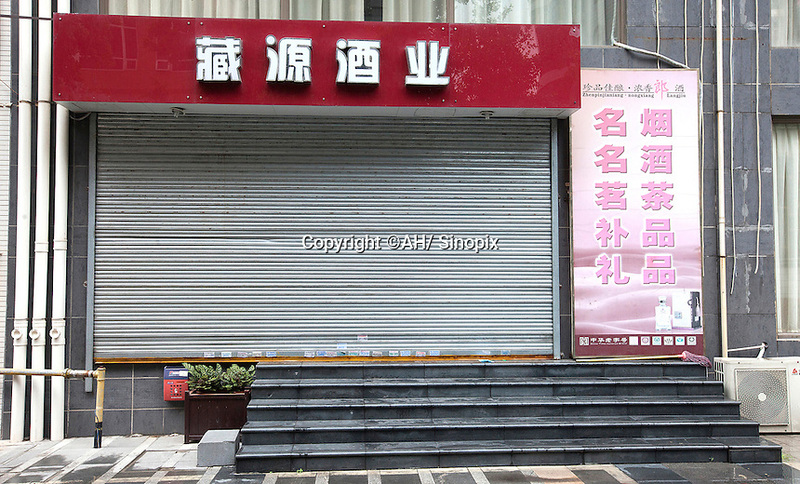 The Chinese sign above the shop reads in English, "Hidden Source Liquor Industry". Collected empty bottles are often recycled into the Chinese underground fake wine industry.